Dubbed as Pakistan’s Britney Spears, Annie Khalid has ruled the Pakistani pop for years. Annie Khalid, came up first time on the Pakistani media’s radar in late 2005 when her first single “Maahiya” took the music scene by storm. Mommy to a cute little princess, who turns 1 in Summer’s this year, marriage and motherhood are not stopping Annie from pursuing her dreams. 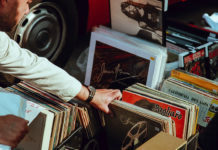 After launching a clothing brand and a makeup brand of her own, Annie has been seen touring Punjab for concerts. And that’s not all, our very own Princess of pop has today been announced as the Brand Ambassador for PSL Quetta Gladiators. 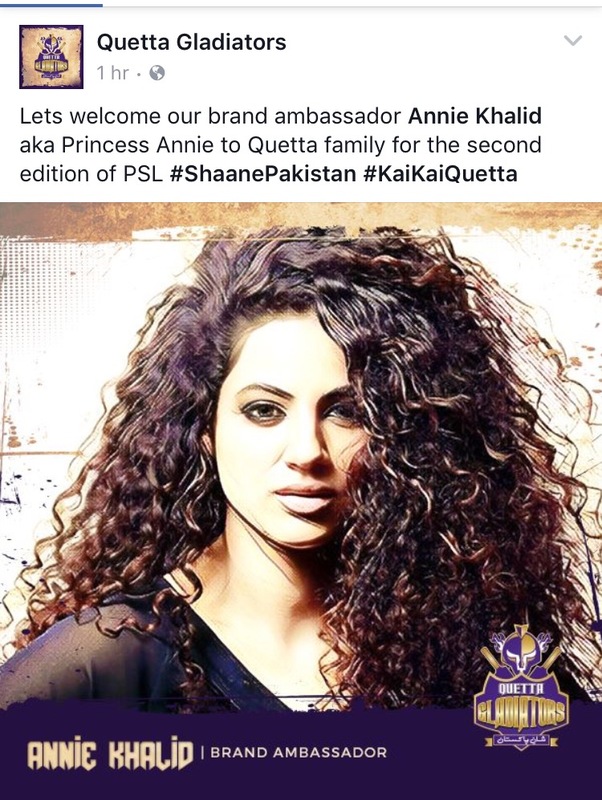 “Lets welcome our brand ambassador Annie Khalid aka Princess Annie to Quetta family for the second edition of PSL #ShaanePakistan #KaiKaiQuetta” – Announced Quetta Galidators a while ago on their social media. 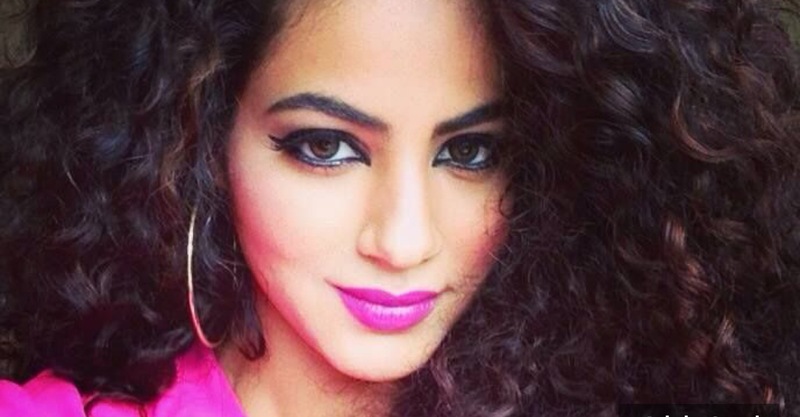 Exploring new avenues, Annie Khalid is an inspiration to many young girls. She has been a doer all her life. So here is wishing her all the very best for her future endaveours. The Pakistan Super League (PSL) (Urdu: پاکستان سپر لیگ‎) is a professional franchise Twenty20 mens cricket league. The league is headquartered in Lahore and as of 2016 consists of five franchises nominally representing cities in Pakistan. 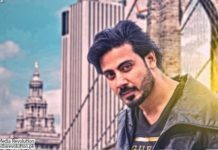 It is operated by the Pakistan Cricket Board (PCB) and was established in 2016.